My 4 week Healthy Horse programme will show you how. 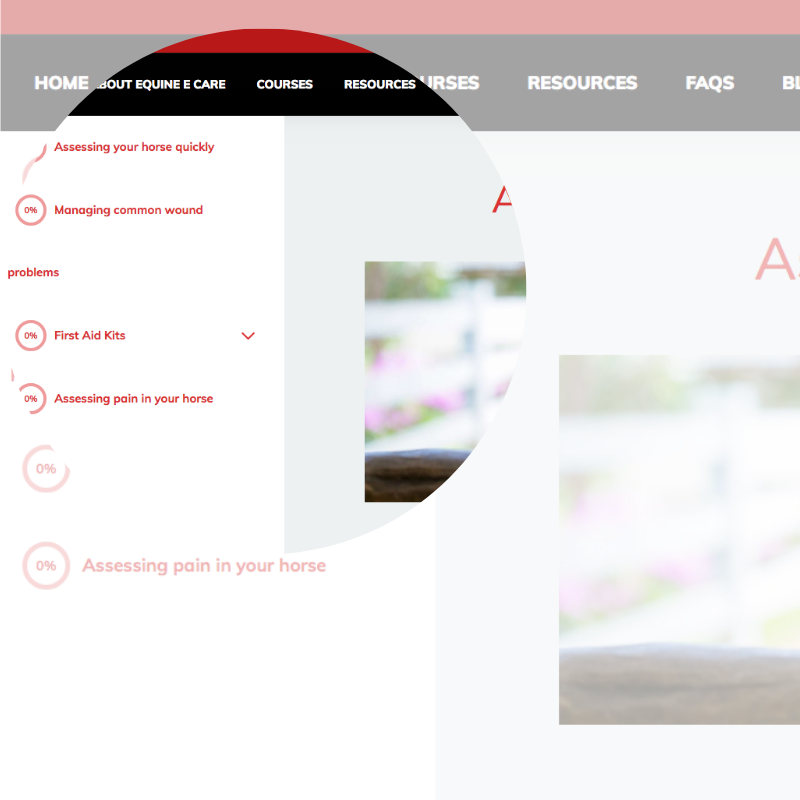 Quickly assess your horse so you know if you need to call the vet. Understand when your horse is in pain and know when you should worry about it. Oh you just missed our latest group! don't worry we'll be back in May. You could add your name to our waitlist though. Worry about whether or not your horse is well? Can't tell whether he is in pain or just behaving badly? Don't know how to quickly assess your horse? 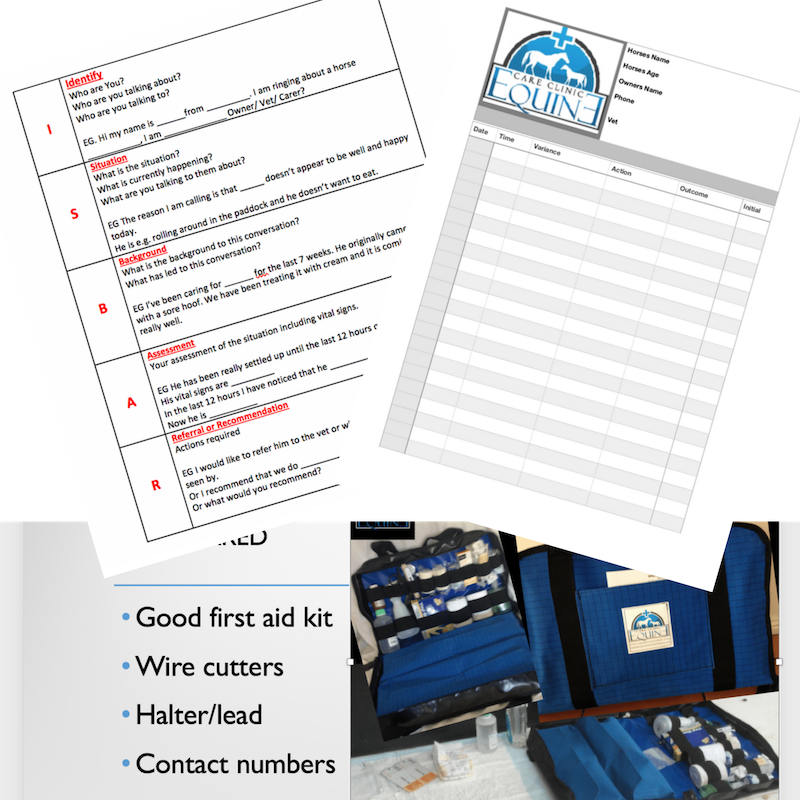 Struggle to manage your horses wounds confidently? Have a first Aid Kit but don't know what should really be in there? Then this course and support group is for you. I know how frustrating it can be when you think there is something wrong with your horse. Trying to sift through the millions of pieces of advice can be challenging. You can end up getting frustrated and just plain stressed out, never mind your poor horse. Not only that but you can end up wasting time and money whilst finding the right thing to do. Amanda has both the qualifications and experience to reassure you. Amanda has been providing information on horse health care for the past 9 years. 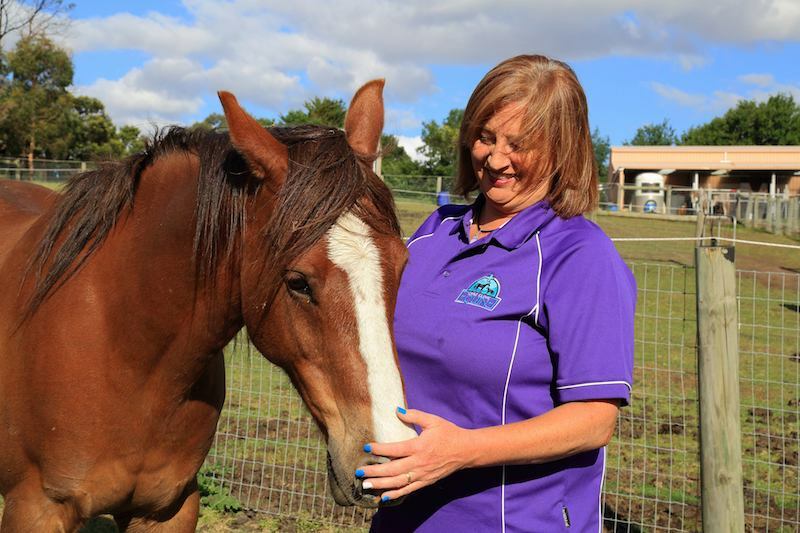 Author of the book "First Response – A Guide to Caring for Your Sick or Injured Horse"
People love her down to earth, practical education and her ability to turn boring topics into something dynamic and fun. She also practices what she preaches at the Equine Care Clinic, a horse step down hospital designed specifically to help horses recover. Get support and guidance to help you learn and understand your horse and his needs better. Learn what works and what doesn't work in caring for your horse. The Healthy Horse programme is based on the very latest research. 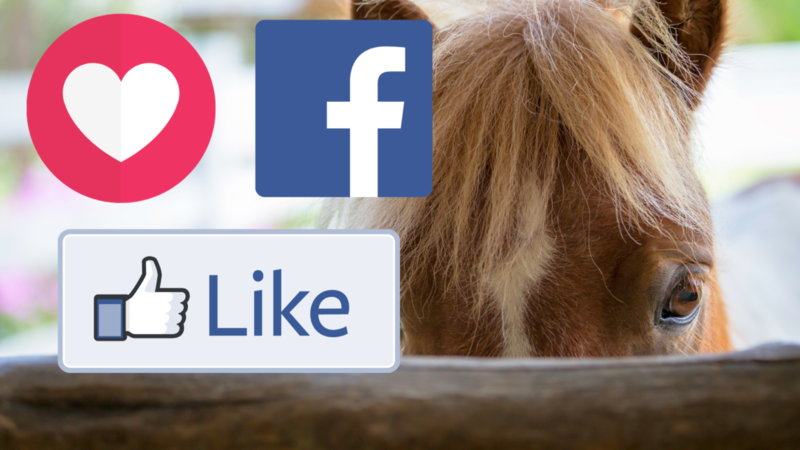 You'll be a part of a private facebook group where you can ask me questions and share your horse stories with others just like you. "A horse's pain and distress is not always obvious"
Calling the Vet in unnecessarily costs dollars that we could spend elsewhere but not calling them when needed can result in serious and unhappy outcomes. Knowing when to call the Vet and what to do while you wait can literally be the difference between life and death. "Knowing when to call the vet and what to do while you wait can be the difference between life and death for your horse..."
"Become part of the healthy horse community ." Build connections with other horse owners just like you. Along with Live Q&A calls weekly with me you'll have somewhere to discuss your issues and problems and solutions in an environment of support and safety. We know how hard it is to fit in everything that is why we designed this to be easy for you to use. We know how often you join something only to find that you don't actually have anything you can use. Well you'll get a range of tools that will instantly help you in your stable and help keep your horse well and you stress free. "Amanda's simple and common sense way was so informative..."
" interesting and Amanda's lay person way of delivering the information made it so easy to understand and put into practice. Taking a horse’s temperature and heart rate is what I should have known but something I never did. Now I can do these observations, write them down and have them recorded for the veterinarian." "You explain things in the easiest way..."
An amazing range of videos with practical demonstrations, pdf's, check sheets, live Q&A with Amanda Edwards and much more. "The Healthy Horse course will help you know when your horse is well or not." Buy this now and not only will you get an amazing course at an amazing price you will also be amongst other horse owners who are passionate about having healthy horses too. 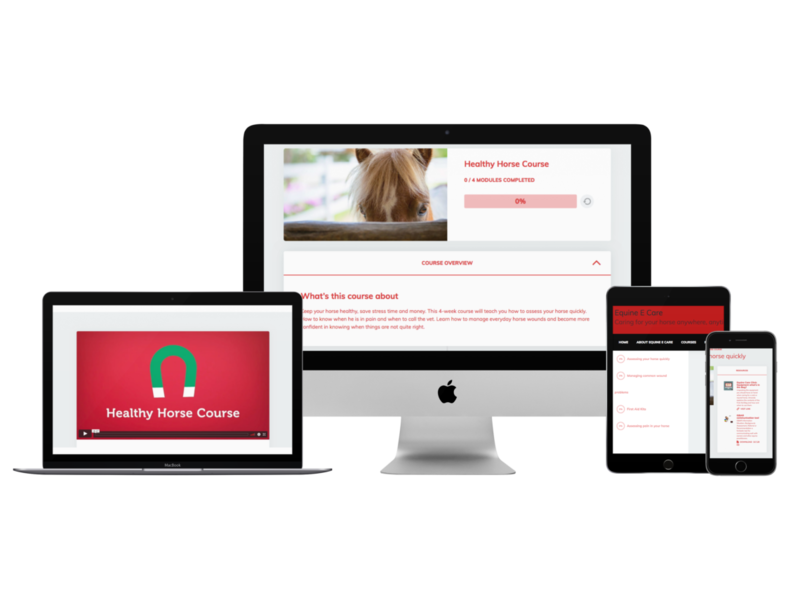 Get Instant Access to the Healthy Horse Course when it goes live! Don't wait our one time first time offer won't be repeated! Not only that but because you signed up for our first time course you'll also be able to join the healthy horse membership group at a discount as well. Show me how to keep my horse healthy now! "It's really valuable to have that mental preparation"
" and know what to do while you wait for the Vet"
"These are things I had never considered before ..."
"- now I feel confident to know what to do"
Can you afford not to know whether your horse is well or not: This course will save you money or maybe even your horse's life. If you're still wondering if it is worth the money think about the next time your horse gets sick and you don't quite know what to do. 4 Modules with lessons designed to show you how. This is the first time we have offered this course and this level of support. It won't be offered at this price again so get in quick. Get Instant Access to Healthy Horse Course! Never again worry about whether you will miss something simple. Get access to the support and information you need for you and your horse now! You are fully protected by our 100% Satisfaction-Guarantee. If you are not happy with the course. "If you don't learn at least one thing that helps you care for your horse better then you'll get your money back no questions asked." How do I know this information is valid? Amanda has been providing information on horse health care for the past 9 years. How do I get in touch with Equine E Care? I'm not very tech savvy - do you think I can do this? Absolutely. The learning platform is not overly complicated and we will step you through it if you have problems. What if I don't finish in the 4 weeks? You'll have access to the course and the information for the next 12 months, along with any changes and improvements we make.